Family owned Quality Spa Parts Company. A retail online hot tub parts seller. We may not be next door but would like to be your spa parts supplier. A Dealer since 1994. Selling online since 2002. We are dedicated to our customers giving old fashioned service. Weekends and holidays, the staff shares their time by accepting calls. With over 25,000 hot tub parts available from top brand original manufactures. Brands like Waterway, Pentair, Balboa, AquaFlo, Vico, and Gecko. 98 % of parts are warehoused and ready to ship today. With the new sales office in Indiana, we are more centralized and can better serve our customers. 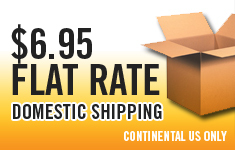 For faster delivery coast to coast, shipping orders from different warehouses. Almost all orders go out the same business day. We ship from warehouses in California, Arizona, and Tennessee. Our goal is to help the spa owners to save money repairing their hot tub. We work with suppliers and manufacturers to give you quality at a reasonable price. THOUGH WE FIND SPA REPLACEMENT PARTS FOR SPAS. WE ARE NOT A SPA DEALER OR IN ANY AGREEMENT WITH ANY SPA MANUFACTURER. OUR GOAL IS TO PROVIDE PARTS AND GENERAL PART ASSISTANCE TO HOT TUB OWNERS. We make every effort to correctly portray the items and information contained on this website. In the event of pricing errors, errors in descriptions, and informational content errors, we will attempt to correct the situation in a timely fashion once notified. We will not be held liable for pricing errors and reserve the right to cancel any order or refuse shipment at any time with written notice to the buyer. .
All Rights Reserved. No part of this web page may be reproduced in any way, or by any means.